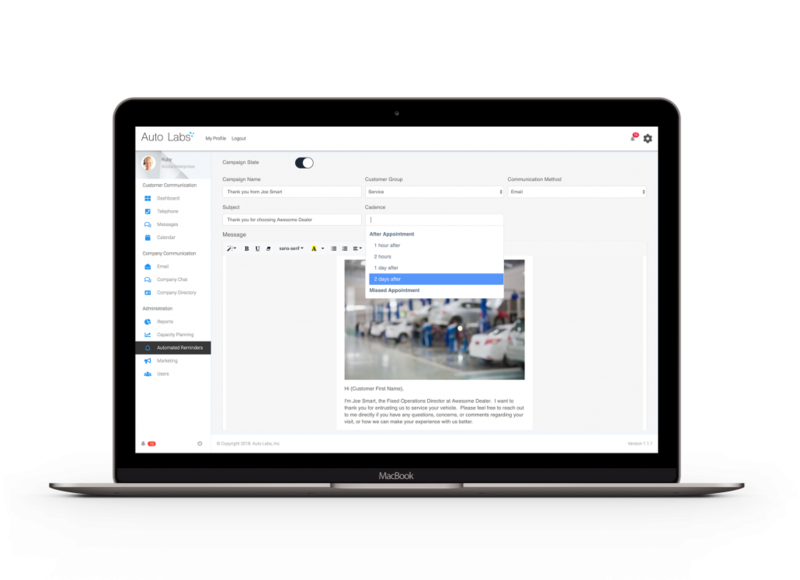 Our AI-powered BDC Software is designed specifically for automotive retailers and can scale to meet the needs of any dealer group. 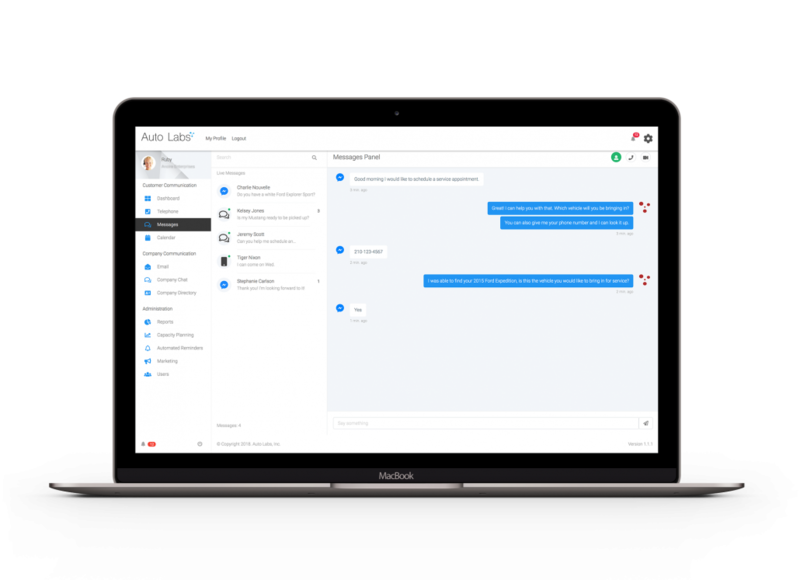 Ruby is the AI Powered Virtual Assistant for everyone at your dealership. She helps sales staff close more deals, assists service staff to maximize shop capacity, and allows managers to discover valuable customer insights. All while delighting customers! Put Ruby to work for your service department. 66% of Service Advisors fail to ask for the appointment. 5 lost customer per day at an average of $300 per RO, can cost your dealership up to $414,000.00 per year. Provide a personal customer experience that drives customer satisfaction, loyalty, and retention. Put Ruby to work for your sales department. Quickly build rapport and customer confidence to convert more leads to visitors. Every customer’s journey is unique, allow your customers to engage when and where they want. 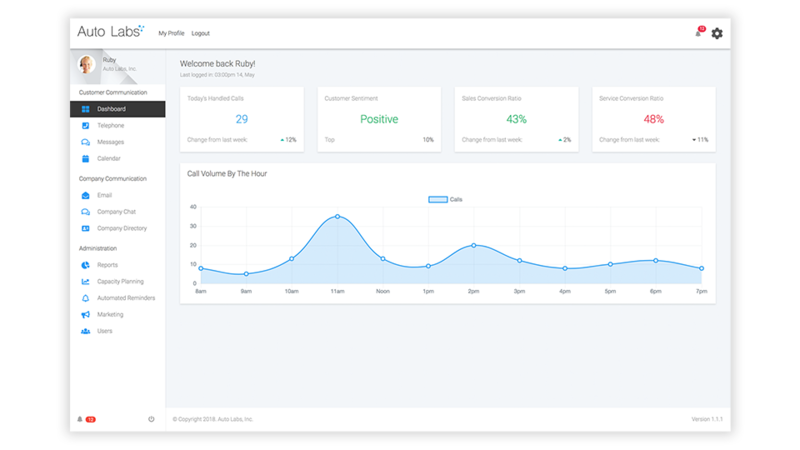 Leverage Ruby’s AI in your dealership today. Copyright © 2018 Auto Labs, Inc. All Rights Reserved.